Our primary business is as a wholesaler to garden shops, hotels, landscapers and other large retailers. 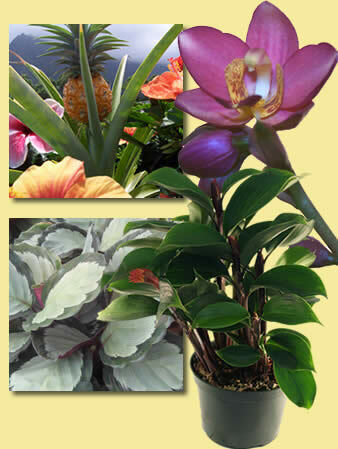 Most of our plants and products are only available wholesale. In order to browse our wholesale prices and articles you will need to register as a Wholesale Buyer. Registration is simple and easy. All that is required is your name, company name and an email address where we can reach you. Some of the other information on the registration form will be required before your first wholesale order, but you can get started by registering with just your basic contact information. New Users: click here to register. If you need help with any form or application on this site, please contact one of our sales representatives in Hilo at 808-959-4088 or in Waimanalo at 808-259-7295.